About 100 balloonists gathered in New Jersey for the largest summer hot air balloon and music festival in North America this weekend. 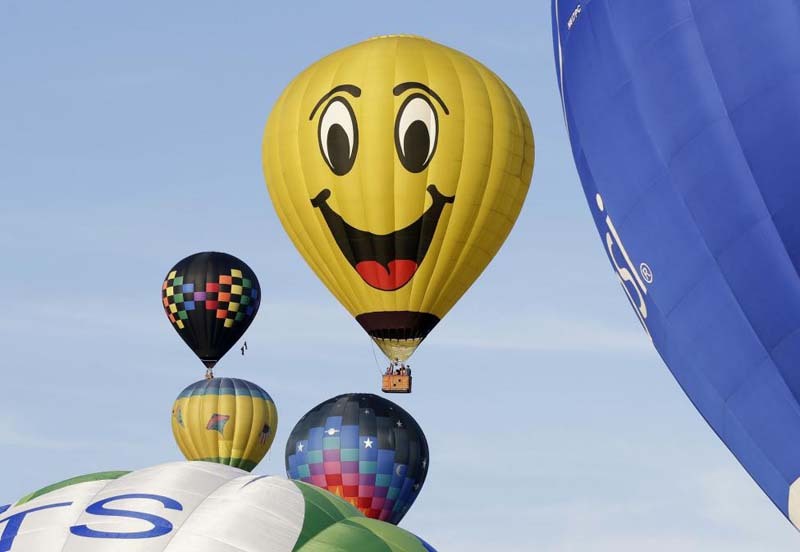 The 36th annual QuickChek New Jersey Festival of Ballooning began on Friday and ran through Sunday at the Solberg Airport in Readington, with pilots from 21 states and five countries exhibiting more than 100 hot air balloons. About 165,000 were expected to attend the three-day festival to watch the balloonists, including record-breaking pilot Debby Young, fly the colorful aircrafts. [post_ads]"I actually have two world records," Young told the Bridgewater Courier News. "One is for distance and one is for duration." Young flew 9 1/2 hours from Altoona, Iowa to, Ottawa, Ill. in February 2001, setting two AX5 Feminine World Records. On Friday she piloted a 105,000 cubic-foot balloon made to resemble Elvis Presley as "Blue Suede Shoes" played in the background. QuickChek, a New Jersey-based convenience store that put on the event along with PNC Bank, fielded its own unique aircraft: a 120-foot tall saxophone balloon called Jazzy Q. "It's the first time it's being inflated in the United States. It comes from Brazil. It's a 120-foot jazz saxophone. I'm a Bruce Springsteen fan. I use to love Clarence Clemons and he was called The Big Man and The Big Man never could play something that big," festival executive producer Howard Freeman. The festival also Sunday included concerts by Creedence Clearwater Revisited and Lifehouse.